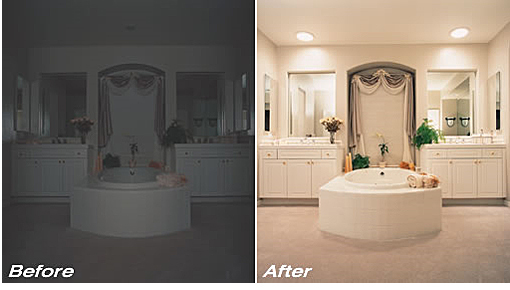 Want to shed some light on that dark area of your home or commercial building without turning on the lights and driving up your electric bill? A great solution is to install solar tubes, aka sun tunnels, which are easily retrofitted into existing buildings. In fact, depending on the Energy Star rated system you choose, it may qualify for a federal tax incentive up to 30% of the cost! Local and state incentives may also apply! Normally with every flick of the switch, electricity is typically generated by burning fossil fuels, and pollution, as well as greenhouse gases are released. By utilizing the power of the sun to lower electricity usage, you’ll reduce your carbon footprint and help clear the air. Portland’s Office of Sustainable Development reports: “Like skylights, solar tubes bring natural daylight into interior rooms. Unlike skylights, solar tubes are inexpensive and unlikely to experience problems like rain leaks, heat loss, condensation or overheating, and are relatively easy to retrofit into an existing house. A solar tube consists of a clear dome that collects sunlight into a highly polished and reflective tube that reflects the light down to a diffuser on the ceiling. The light has a natural quality and is sufficient to light a small room, hallway or staircase.” Larger solar tubes or multiple units may be necessary for large rooms. Solar tube options include: diffusers, night time lighting, daylight dimmers and integrated bathroom fans. A super energy-efficient solar tube will qualify for a federal tax credit if it has a U-factor and Solar Heat Gain Coefficient less than or equal to .30 and is installed between June 1, 2009 – December 31, 2010. Our customers love the natural daylight that enters their home after installing a solar tube or two. Yes they do work even on cloudy days!! The best part is that they are an energy efficient alternative to using electric lights during the day and are super affordable. If you are handy at all you can even install them on your own. This is a good idea. I think I am going to get one for my house. Thank you for this useful post! 1. is it possible to has multiple diffusers connected to a single roof top dome? 2. what is the tube sizes? We carry three sizes of tubes 10″, 13″ and 18″(inch).